Sheikh Bandar Baleelah (Bandar bin Abdulaziz bin Siraj bin Abdul Malik Baleelah) was born in Makkah, Saudi Arabia in 1975. He Got his early Education in Makkah, he graduated in 1996, he got his Master's Degree from Umm Al Qurra University in 2002. 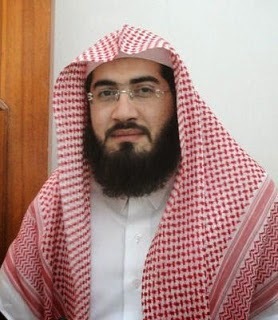 He got his PHD Degree from Islamic University of Madinah in 2008. He was Appointed as Guest Imam for leading Taraweeh in Masjid Al Haram in Ramadan 2013. He was then Permanently Appointed in Dhul Hijjah 1434 (2013). He also is a Professor in Faculty of Shariah in Taif University.